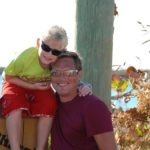 Daniel, his wife, Kristina, and seven-year-old son, Jakob, have always loved traveling, especially to any and all Disney locations and Universal Orlando. Traveling is the way his family stays well connected. 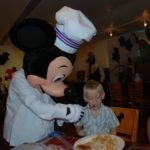 As his son said, when visiting Disney, the magic rubs off on all of us and makes our family magical as well! Living on the West Coast he has visited Disneyland more times than can be easily counted. However, you can be assured it’s more than a few weekends a year. He is always his friend’s and families go to for trip suggestions. He can always be counted on to provide fantastic suggestions, mixed with a bit of Disney Trivia to those willing to listen long enough. Daniel has traveled extensively to Europe as his mother in law is from Sweden. Our family travels to visit our extended family every few years. 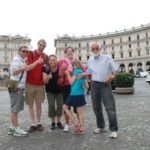 On each of these trips we seek out another location to visit, such as the Italian Riviera, France, Germany/Belgium, and more. 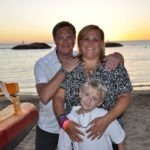 Additionally, Daniel and his family absolutely love cruising, having sailed with many of the cruise lines to Eastern and Western Caribbean, as well as having cruised through the Mediterranean with stops in Spain, Italy and France. Daniel and his family are planning a trip to France to visit Disneyland Paris for the first time this summer, when they go back to visit family in Sweden. 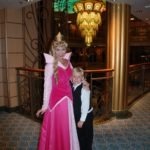 They have also planned a shorter five day Disney Bahamian Cruise with his parents in October. 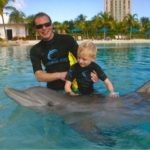 This is the perfect cruise for them as it stops in Nassau Bahamas for a day plus two stops in Castaway Cay, one of their favorite places ever! The one trip he and his wife have always dreamed of is to get away to the Maldives Islands. These are some of the most pristine and beautiful islands to grace Earth and he hopes to some day take in their beauty directly. Daniel hopes to help families to have the same magical experiences as his family has in all the places he loves. 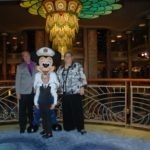 He is ready to help anyone and everyone who wants to visit Orlando, including DisneyWorld and Universal Studios, Disneyland, Aulani in Hawaii, or to go on any cruise throughout the world. 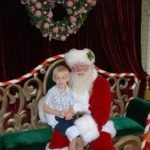 Oh and he could certainly help anyone looking for a great time in Las Vegas! Daniel hopes to continue learning and traveling so that he can expand his knowledge to help more and more vacationers to experience new places such as Sandals Resorts or other great new locations in Mexico, Belize, Jamaica and more! Contact Daniel to Book your Next Vacation!